This is the heart warming story about a special bond that developed between one of our old and young cats - Shilo and Bobby. Shilo was an old black puss who had been living as a stray for quite some time. We can only imagine what awful trauma this poor cat had endured. When he first arrived in our care he didn't move from his little bed for months. His foster mum Betty never saw him walk! Shilo only left his bed when there was no-one around. Shilo was very loving though and would nudge your hand for continuous strokes from the comfort of his bed. It was evident that he had no confidence and was very shy and timid. If you picked him up from his little bed his tail would go between his legs and he would dart straight back. Nearly 12 months passed with little improvement. ....then Bobby came along. A lovely young black puss who was very playful and confident - the absolute opposite of Shilo. Bobby would chatter away in his pen and during cleaning time wander up to the front of Shilo's pen to chatter some more. We soon noticed that Shilo began to chatter back to Bobby and as the weeks passed when Shilo saw Bobby approaching he would leave his little secure bed and go and greet Bobby and they would chatter away together. Shilo was at last starting to make an improvement. We then got a call from someone interested in rehoming Shilo (the only person to show an interest in 12 months). We explained that he would be a cat with 'issues' as he still had very little confidence around humans and it would take a long while for him to trust again. When Shilo's prospective owner came to see him, they popped into the next pen to see Bobby and decided to take them both home. Wonderful news! We can report that they are doing absolutely fine and have settled in marvelously. Shilo has come on leaps and bounds in a very short time. He has been sitting on his new owners lap and playing with his toys. A massive thanks to Shilo and Bobby's new owner for giving Shilo the chance he deserved and for keeping these two beautiful boys together. 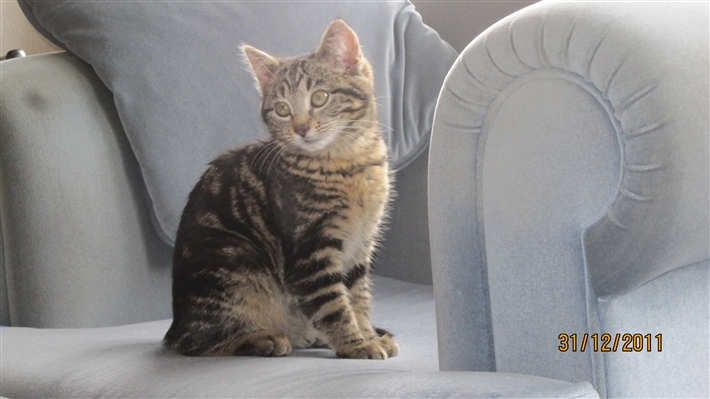 This is little Bailey and she is one of our feral kittens who has since been rehomed. Isn't she adorable? Our branch has been working hard in trapping feral kittens and socialising them so they can go on to have a lovely life in a home. This little girl was a feral found in Salford, and after a lot of time, love and patience from one of our fosterers has become a lovely little puss. Bailey is now a happy, beautiful puss who is enjoying life with her new family. She gets lots of love and affection from her new family and is a wonderful companion. She certainly knows what she wants and tells them when she wants feeding, cuddling or to play. A big thanks to Bailey's new owners for adopting one of our feral kittens and to all our volunteers who are continuing to trap, neuter and rehome the many feral kittens and cats that live in the surrounding area. We believe that all cats, whether feral or domestic deserve a good life. Our branch is currently experiencing a great problem with feral cats and we have had lots of calls from people telling us about litters of feral kittens in the area. We are making a desperate appeal to our supporters for help. As we are only a small branch we just do not have the capacity to take all these kittens in for socialisation and rehoming. 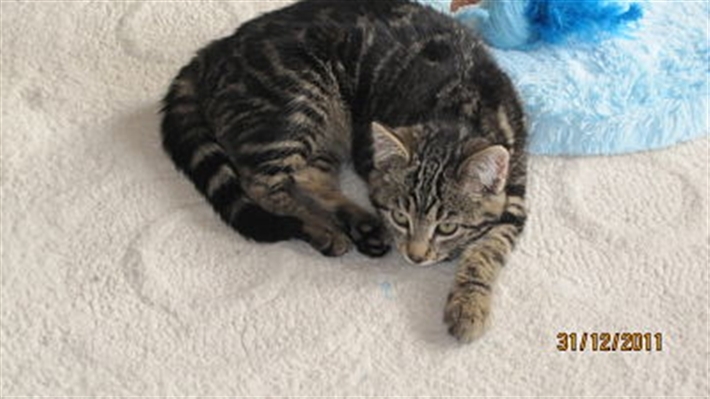 We are confident that the little kittens we have been able to rescue will be suitable for rehoming after our fosterers have spent time with them and given them lots of love. 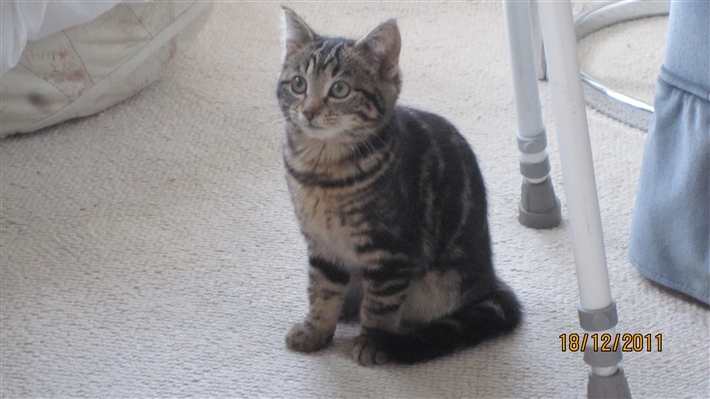 However, there are a great deal of kittens which we just won't be able to accommodate and as a result they won't be suitable for rehoming in a domestic environment (unlike Bailey, pictured here!) However, these cats will be ideal farm cats and great mousers! If you know of anyone who has a small holding or farm who can give a home to any of these kittens then please ring Sue on 01942 711101 or email helencatsprotection@yahoo.co.uk Thanks for your support! 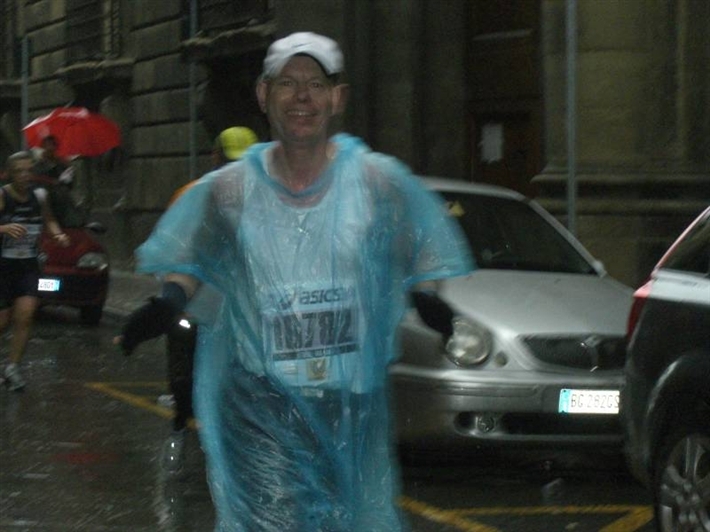 Congratulations to one of our supporters Ian Blithell, who ran a marathon in Florence in aid of a few charities, one of them being us! Despite it raining the entire time he was running, Ian beat his goal and raised a massive £443.72 for Atherton & Wigan Cats Protection. Thank you Ian!! !